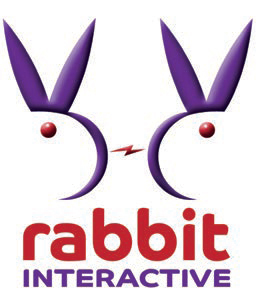 Our popular ‘Rabbit Interactive’ CPD (continuing professional development), which is sponsored by Burgess Pet Care, is rolling out some ‘road shows’ later this year. There is still a huge demand for airway management and dentistry education and we are very proud to have the only Vet CPD provided by Specialists. We will be issuing vets with certificates to show they have passed the course and we hope it will give owners reassurance to see these certificates in practice and know that their vets are up to date with the best techniques. This is in addition to the ‘rabbit friendly’ vet list which is on our website. Make sure you ask your vet if they are rabbit friendly and if they have joined the list. thanking Reena and Nitesh for their brilliance and patience. We’re pretty impressed with it, if we do say so ourselves, and hope you are too! founding members of the then BHRA. Lizzie has recently returned from Malaysia where she set up a new campus for Newcastle University. 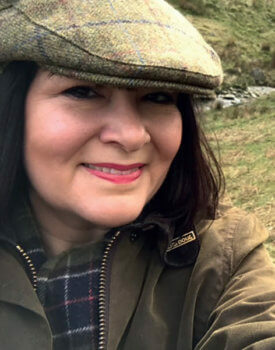 Lizzie has a huge amount of experience with marketing and social media, and now that she is back in the UK we have been fortunate enough to benefit from her expertise with some new campaigns. The first one was our take on an Easter campaign, which involved making the reality of rabbit ownership in to 10 facts, so that owners were aware of the amount of time, expense and space involved in caring for them properly. The campaign was a great success with 2091 shares and a whopping 344,111 people reached! Huge thanks to Lizzie from us all at RWAF. We have more campaigns in the pipeline so please keep sharing and helping us to spread the right messages. In recent months the issue of health problems in short-faced or brachycephalic dogs has been highlighted to the public, in the media and following high profile events like this year’s Crufts. However, now three major animal welfare charities have united to send the message that this problem is not limited to dogs alone. Sadly, rabbits have also fallen foul of the human desire for shorter, ‘cuter’ faces. 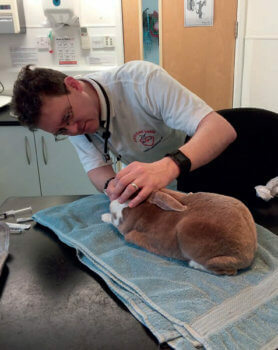 Richard Saunders, head vet at the RWAF, said “Breeds like the Netherland dwarf and the popular Lionhead breed have become more and more brachycephalic. In rabbits this is disastrous. Rabbits’ teeth grow continuously throughout their whole lives and must line up exactly to wear down evenly. The short face means the bottom jaw is longer than the top one, just the same as in bulldogs and pugs, and the teeth do not line up. Teeth soon overgrow, causing chronic pain, lacerated mouths, abscesses and in many cases, death. The tear duct is also distorted (as it is in brachycephalic cats) and the rabbits often have tears and even pus overflowing onto their faces. Hand in hand with the short faces come the lop ears, rather than the wild, natural upright ears. These rabbits have a high level of middle ear infections and can’t communicate with other rabbits normally, leading to behavioural problems. RSPCA dog welfare expert Lisa Richards said, “Dogs who have been bred to have short, flat faces often have narrow nostrils and abnormally-developed windpipes. They can suffer severe breathing problems and many have difficulty enjoying a walk or playing. The RSPCA believes there is still much to be done to protect the future health of dogs and that all those who breed dogs should prioritise health, welfare and temperament over appearance when choosing which animals to breed. For help when choosing a dog, please use the RSPCA/AWF Puppy Contract, and if you’re worried about the health of a particular puppy, contact a vet for advice. We are very excited to have Vikki Neville with us for three months starting in April as an intern. Vikki is a PhD student at Bristol University studying Clinical Veterinary Science, specifically focusing on animal emotions. Her work is well respected and ground breaking and we are honoured that she has chosen to spend her placement with us. 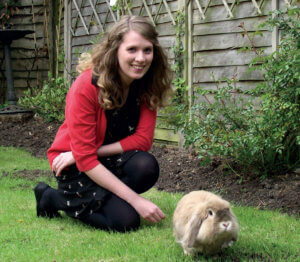 Vikki has two rabbits of her own and is dedicated to improving welfare. Vikki has a lot of ideas for her time with us; one of them will involve contacting rescue centres and getting some information on relinquishment. If you do hear from Vikki we would be really grateful if you could help her. We wanted to take a moment to sing the praises of our resident Vet Specialist Adviser, Richard Saunders. As many of you will know, Richard has made a huge contribution to improving domestic rabbit health and welfare in too many ways even to count. One of Richard’s most notable achievements – so notable that it’s been recognised with nominations for both a CEVA and a Pet Plan award – is his trailblazing work to bring the RVHD2 vaccine to the UK. Richard hopped through hoops to make this happen and as a result around 70,000 rabbits have been protected against this fatal disease in the UK already. This is all thanks to Richard’s tireless efforts. Richard sits on several working groups looking into long term welfare issues and his input helps shape the strategy of the RWAF. Richard is basically magnificent. We are so grateful for all his efforts and wanted to share that with all our lovely supporters. Nicola Rooney from Bristol School of Veterinary Science on this project. We started off by health checking and neutering Peppa, and letting him settle down. In the mean time we started to look for a suitable partner for him, and inevitably we ended up meeting the lovely Alice at Windwhistle Warren, who was able to pick the perfect match in the form of a young black lop, Betsy. On the day that Peppa went off to Alice to be paired up, the exciting job of transforming the housing in to something more suitable commenced. We really wanted to do a good job of this because it was such a great opportunity to get the messages and ideas out to other rabbit owners, so the cost of all of this was met by the RWF. Here are a few photos of the transformation – and you can read more about it on our website. This was an issue that stirred the welfare community, with rescues, organisations and individuals voicing their disapproval. specific parts of the application. We understood that we had to raise a watertight case because the application was a second attempt, with the developers having overcome the grounds on which the first was declined. We are always aware that even with moral protests being raised, cases like this often go against us because welfare arguments are not valid planning objections. Instead, we used some of our funds to employ a specialist, so that we targeted our objections on the particulars of the application. Having read the refusal letter it looks like our objection hit the spot and it’s fantastic that our voice has been heard. This has cost us around £700 but we think it was money well spent, and it was the only way to do the objection justice. There is already a rabbit welfare crisis in the UK and we do not need any more commercial breeders. Everyone can do their bit to help. Please remember, always adopt, don’t shop.